While winter is for reading and trying to stay warm in the Great White North when the Ice Giants and the White Dragons roam the wastelands of Minnesota, summer is for getting out there and enjoying the all too brief warm weather. That hardly means, however, that reading comes to an end, far from it. It does mean that reading time on weekends is while having lunch somewhere on the North Shore, or even more distant destinations, and audiobooks consumed to eat up the miles driving on the highways and byways in search of photographic subjects. So here, find a list of six of the books I am looking forward to getting to before Summer turns to Fall, and green shifts to hues of red, gold, and orange before a clattering change to brown. 1. From Unseen Fire, by Cass Morris. When I first heard about a take on an alternate fantastic Rome with magic, I sat up and paid attention. 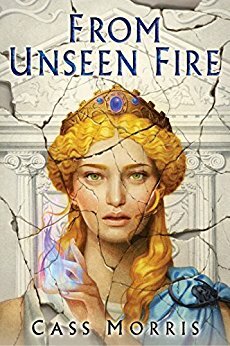 Set roughly after the fall of their Julius Ceasar figure, From Unseen Fire looks to feature a bevy of strong characters, crunchy politics and worldbuilding and magical intrigue. 2. The City of Lies, by Sam Hawke. I met Sam in Australia during my 2017 Down Under Fan Fund adventure, and later in Helsinki at Worldcon that same year. I learned about her forthcoming novel, and became excited by the high concept. 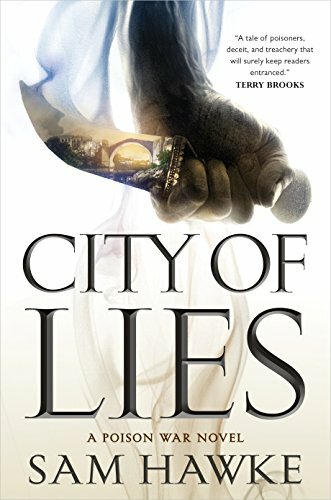 That debut novel, City of Lies, looks to be an epic fantasy of city states, poison, treachery and ancient magic. A pair of siblings trying to save their city state in a time of magic, war, and poisons? I'm on board! 3. 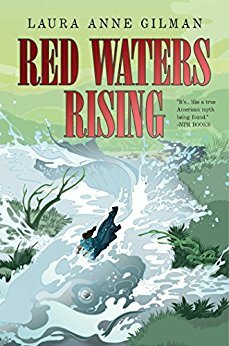 Red Waters Rising, by Laura Anne Gilman. I’ve been a fan of Laura Anne Gilman’s previous Devil’s West novels (Silver on the Road and The Cold Eye), set in an alternate early 19th century western North America where a Devil-like figure controls a large portion of the land west of the MIssissippi river. The novels follow Isobel, a young woman who enters into the Devil’s service. She’s grown in power, authority and ability, and judging from the blurb, this this third novel in her story challenges all she has learned and done to the utmost. 4. Trail of Lightning, Rebecca Roanhorse. 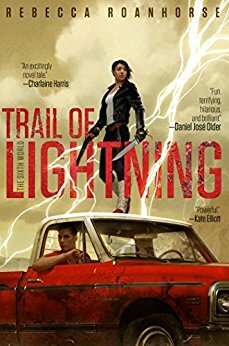 Trail of Lightning is a debut novel from the author, who has been getting award nominations and accolades for her short fiction, particularly her fantastic “Welcome to Your Authentic Indian Experience™”. This novel promises a Native American look and setting for a post-apocalyptic novel, something I’ve just not seen before. I’m excited to see what she does with the concept. 5.By Fire Above, Robyn Bennis. 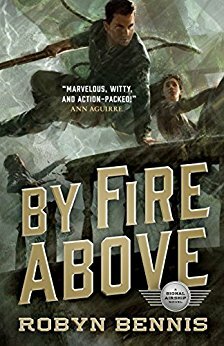 I really enjoyed the steampunk adventures of Captain Dupre in Bennis’ first novel, The Guns Above. I enjoyed the worldbulding, the excellent action beats and the strong characters in that first novel. I am looking forward to more and going deeper on both the world and the characters in this next novel. . 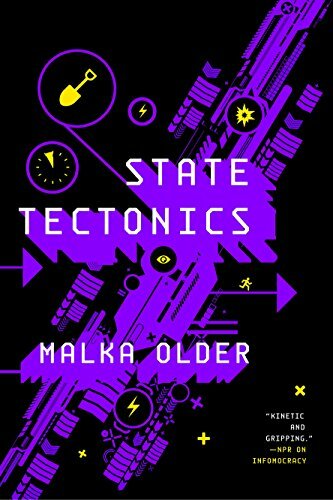 The third and final novel of her Centenal Cycle series, the previous volumes (Infomocracy and Null States) created a fascinating near future world where the political order and society have been painfully moving to a new and intriguing one, and yet showing that even such a change is no utopia, providing challenges and opportunities all of its own. Deep currents of change and reaction in the political spheres have been building in the previous two novels, and in this third novel, those forces appear to be moving toward a head. I am very eager to find out if Older will stick the landing for the characters and world she has created.